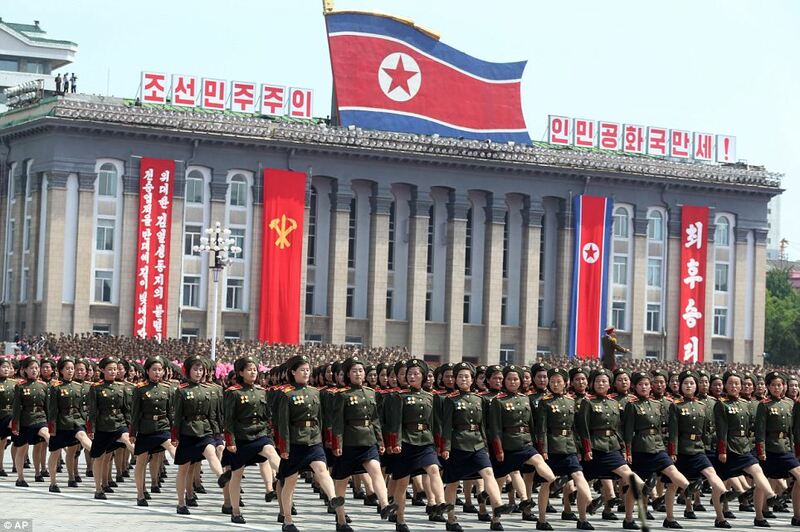 Tensions on the Korean peninsula remain dangerously high on Tuesday, a day on which North Korea will celebrate 85 years since the foundation of its Korean People’s Army. Pyongyang has a history of marking important anniversaries with military tests – regional powers are on high alert. On Sunday, North Korea’s state-run Rodong Sinmun newspaper ran an editorial threatening to sink a US “nuclear-powered aircraft carrier with a single strike”. The USS Carl Vinson and its strike group were first reported to have set sail for the Korean Peninsula two weeks ago, although it was later revealed the ships had conducted training exercises with the Australian navy thousands of kilometres south. The strike group is expected to arrive off the South Korean coast in the coming days, where it will be joined by local military vessels. There have also been reports that Russia is moving military ground assets towards a 240-kilometre stretch bordering the North. While Russian military spokesperson Alexander Gordeyev acknowledged such movements he labelled them “absolutely scheduled manoeuvres of combat readiness”. 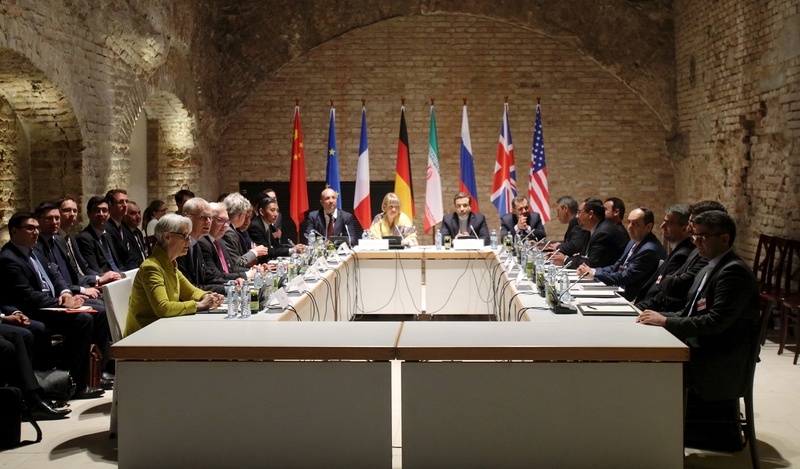 The implementation of the Iranian nuclear deal – agreed to in July 2015 – will be up for discussion in Vienna on Tuesday at the 7th Joint Commission between Iran and the P5+1. Although the Trump administration confirmed Iran’s compliance with the deal last week, it added that Tehran is not living up to the “spirit” of the deal. During his campaign, Donald Trump had said he would tear up the agreement but appears to have softened his stance since assuming office in January. Importantly, even if America does unilaterally abandon the deal, it’s unlikely that other signatories will join it, reducing the likelihood that Iran would be willing to renegotiate. But this doesn’t mean Trump is out of options to pursue a harder line on Tehran. In February, the White House announced a raft of new sanctions on companies and individuals suspected of aiding Iran’s ballistic missile program, which falls outside of the 2015 agreement. America can elect to tighten these sanctions and implement new ones targeting Iran’s alleged state sponsorship of terrorism. A Senate hearing into Russian interference in last year’s US election will resume in Washington DC. Tuesday’s session will be the first since Chair Devin Nunes recused himself earlier this month over allegations he improperly received. Australia and New Zealand will commemorate ANZAC day – a day of remembrance for all veterans who’ve served their countries. The EU’s top diplomat, Frederica Mogherini, will hold talks with Russian Foreign Minister Sergey Lavrov in Moscow. On Monday, Ms Mogherini insisted that, while Brussels wants to improve relations with Russia, EU sanctions linked to the situation in eastern Ukraine would remain.